Peter Jumrukovski has by working with goals for the last fifteen years accomplished to win a World Championship bronze medal (Shotokan) and eight national championships in karate, traveled the world, become a top marketing salesman and fulfilled his childhood dream of moving across the globe from Sweden to Los Angeles. His dream has long been to help others succeed in achieving their goals and that is exactly what he is doing right now! Peters motto: Dreams don't work, unless you do! A former top salesman who got fired when his office was closed down. This finally gave him the courage to write The Goal Book (original title: Målboken). Peter wrote The Goal Book in 40 days to show that his recipe works on any area (even if you have never done it before). The Goal Book was successfully released in Sweden in October 2014 and is currently one of the most sold self development books in Sweden. In 2016 The Goal Book was translated to english and is now available in the US (was released March 16). Peter Jumrukovski has always been the underdog that refused to give up. In middle school he was overweight and had no friends - so he found his strength in Karate. In high school he couldn't attract the girls - so he decided to develop himself. In karate he had no talent - so he decided to train harder than the rest and after 20 years of training he became a World Medalist. 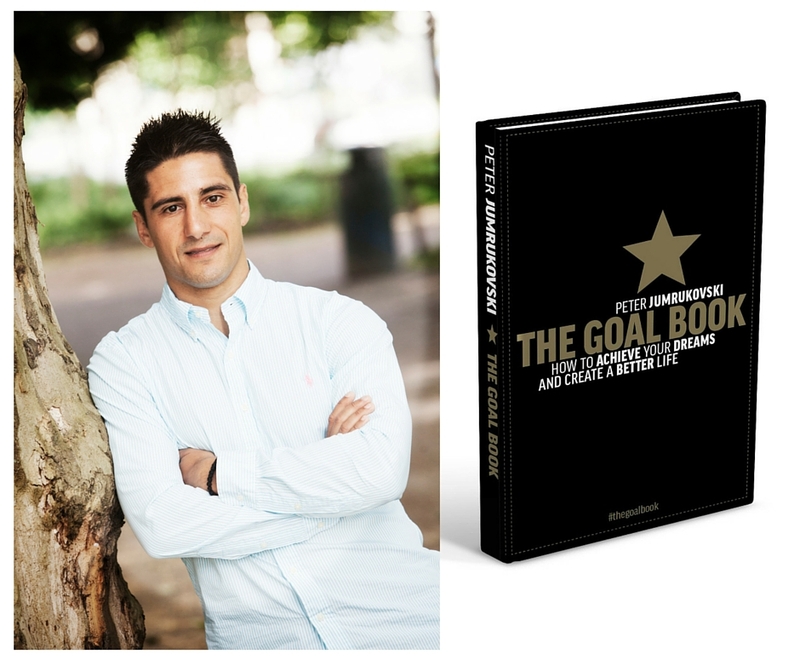 The original manuscript for The Goal Book was turned down by almost all publishers - but he never gave up and 18 months after writing his book it finally got published and The Goal Book is now one of the most sold self development books in Sweden. Peter is also releasing his second book in Swedish; No Regrets: 7 Steps to the Life you Dream About (original title: Ångra inget - 7 steg till livet du drömmer om) on March 21 - 2016. If a regular guy like Peter can succeed, so can you!